Further to my recent review of the amazing Surcare products. I have decided to join their panel of product testers. Surcare are looking for people of all ages from all walks of life to help them in the development of their products and you can get involved too! How I hear you ask? 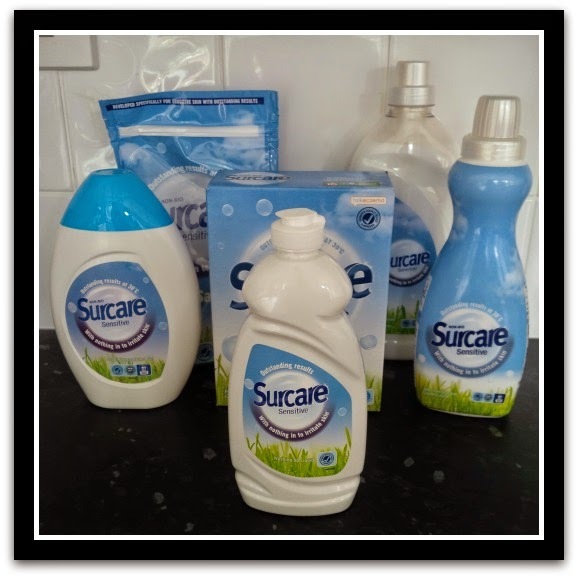 Well I will tell you at the end of this post but first I wanted to give you a quick catchup on how I have been coping using solely Surcare’s products for all my washing needs. I know it may not seem like much to some people but when you are used to not using fabric conditioner like I was, suddenly being not only able to use it but to reap the benefits of using it, it becomes a fairly big deal. Well to me it does! I am still loving the results and no side effects. There is no itching or scratching and my clothes and dishes aren’t suffering for the change in products at all. Totally converted over here I am! If you would like to join me in finding a more skin friendly way to wash your clothes (and dishes) please read on.